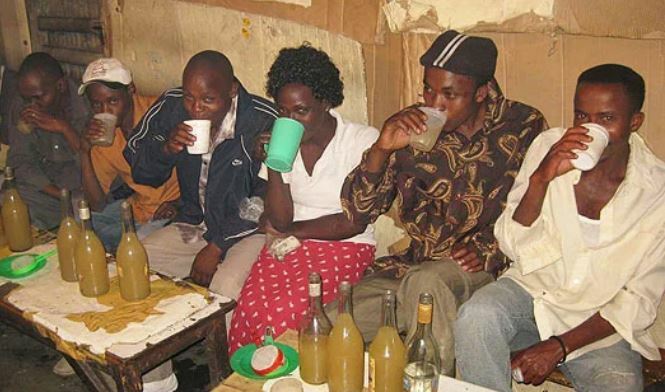 As the nationwide fight crackdown on illicit brews continues, the Kikuyu community can heave a sigh of relief after a court ruled that brewing and drinking of ‘Muratina’ is not illegal. Kikuyu Principle Magistrate D N Musyoka said the traditional brew should be recognised as part of the Kikuyu customs. He noted that the constitution has a mandate to protect the cultures of all tribes in Kenya and no law created can infringe upon those cultural practices. “They have to celebrate their traditional rites of passage through various ways and muratina (Agikuyu traditional brew) must form part of the celebrations,” Musyoka said in his judgement. The magistrate, however, restricted his judgment only for the purposes of traditional ceremonies such as payment of dowry, marriage, and initiation into adulthood. In the case of the republic against John Ndungu Mbiyu, a muratina brewer, the magistrate found him innocent as he was only tasked by the Kikuyu council of elders known as Kiama to brew the beverage for a traditional ceremony. The brew that had been presented to the court as evidence was returned to the chairman of the council and the ceremony given the go ahead. The bail posted by the accused was returned to him.